So this is kind of a big deal. Sure, his fellow contemporary Superman also became a big septuagenarian-and-a-half last year, but Batman is…well, Batman. The fact a character so malleable and translatable across decades is able to remain as popular, if not definitely more so, than he was at the time of inception is no mean feat. Whereas Supes has fallen out of favour here and there, Batman has remained fairly constant. Y’know what that means, right? Over the course of the next five days, you’ll be subjected to on-the-fly reviews about five of the most influential Bat-books published within the last three-quarters of a century. Well, actually, most were published in the last half-century. Alright, the last third-century. Point is, these are tomes whose meaning and importance to the Bat-mythos cannot be understated, and continue to resonate as the Dark Knight guns for that elusive centenary in twenty-five years time. Each review covers a book, its overall importance to Batman and its general impact and influence in contemporary Bat-canon. I should stress that this is not a comprehensive list of every huge and major Bat-text out there, nor is it simply the only five that are actually really big and awesome and still referenced to this day. Fact is, there are more defining arcs of Batman’s narrative out there than there are grains of sand in Bondi Westfield, and if we were gonna outline every major turning point in the Caped Crusader’s life we’d be here all night for the next 75 years. Don’t fret if your personal pick isn’t on this list; it ain’t exhaustive, and I probably like that book you’d suggest too. So without further ado, let’s look at Year One. Where it all began, 48 years after Batman started. Because continuity. 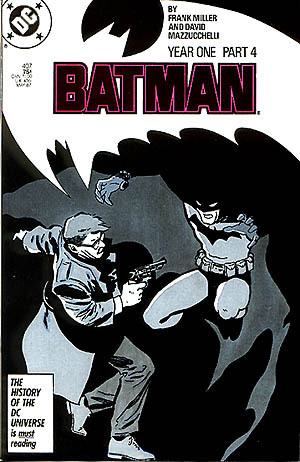 In actuality, Year One is the Batman origin story no-one really bothered to comprehensively tell until Frank Miller took a stab at it in 1987. 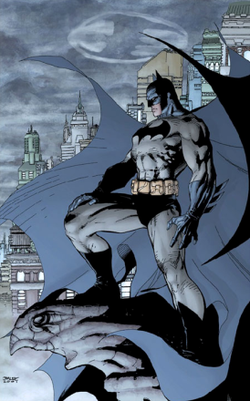 Until then, the main defining points of Batman’s genesis were limited to early recaps of unseen narratives and short panels describing Bruce Wayne’s evolution into the caped and cowled avenger of the night. 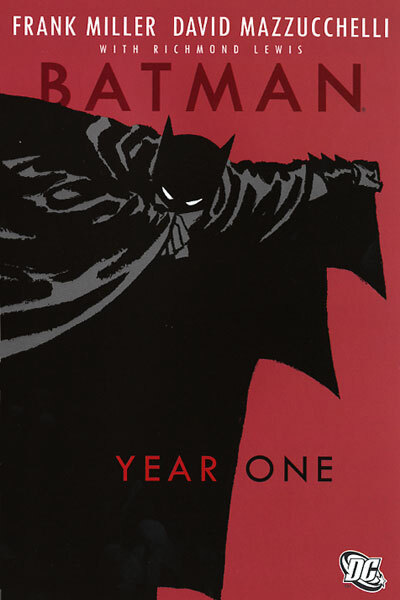 Even if I’m wrong there, it’s still telling that Year One remains *the* defining Batman origin story when it’s so readily pointed to as such today. Gotham City is a cesspit of evil and decay, and only two men are able to save it: James Gordon, newly minted cop in the Gotham City Police Department, and a mysterious vigilante dressed up like a bat who only emerges at night to perform amateur dental surgery with his fists on Gotham’s criminal element. The two will have to learn to work together to save Gotham from a slow and lingering death at the hands of the scum and villainy that infests it, dealing with their own personal doubts and corruption at the very heart of the entity designed to safeguard the city. There’s not much I can say about Year One that you don’t already know to some degree, not least of which because the book itself isn’t terribly long. Batman’s origin is well-trod ground in animation, comic books, literary novels and motion pictures, and the bare bones of it here are interchangeable with almost any other origin take out there. Bruce’s parents die, he becomes Batman, he and Gordon become friends, they fight crime. The reason it’s interchangeable is that, even if he didn’t come up with specifics entirely himself, writer Frank Miller gave us a story that rolled it all into one narrative and presented it so starkly and memorably. The importance of Year One to the ongoing Batman story cannot be oversold. It’s an origin story, a character study and a haunting portrayal of a grimy, decaying city in its death throes that only receives salvation at the hands of a figure almost as illicit and unsanctioned as the crime that crippled it in the first place. 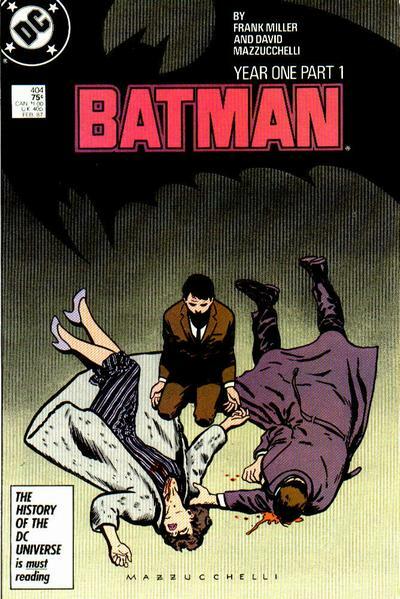 There’s so much one can say about Year One, so many subtextual and thematic elements that can be unearthed amongst the tapestry of the overall “Bruce Wayne becoming the Batman” story that I could keep you here for hours. Since I’m kind of a nice guy, I’ll just take another ten minutes from you. Hey, it’s Batman’s birthday. He might not be able to wear your ears out with speeches, but I can do that for him. Scriptwork is excellent, with Miller coining a lot of the darker tropes that would influence works further down the line in the dawning of the so-called “Dark Age” of comic books. I’d bet good money Christian Bale took most of the grizzled, private eye narrative method of introspection Batman uses here when he started out portraying the Dark Knight in film, and it’s a testament to Miller’s nuanced style (or, at least, nuanced in the days before he wrote All-Star Batman and Robin) that none of it feels overwrought. 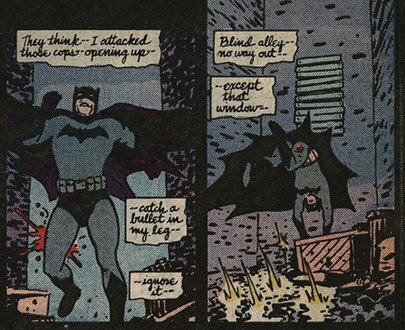 Similarly, David Mazzuchelli’s artwork sets the standard for Batman work, as gritty and grimy as the city it takes place in but never so despondent that it gets off-putting. 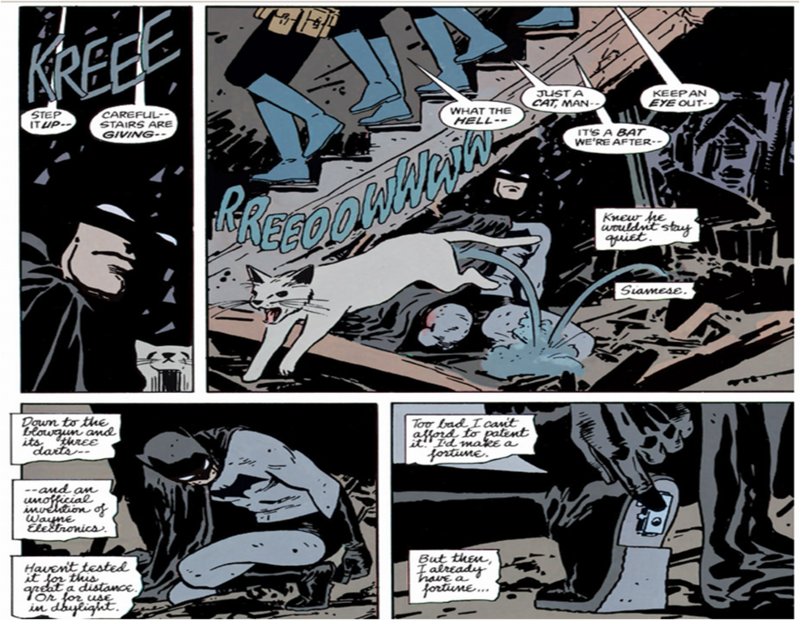 While future artists like Francesco Francavilla, he of the superlative Black Mirror arc, tried to emulate Mazzuchelli’s style in homage or as inspirational, no-one does it quite like David. As stated previously, Year One is still considered the landmark origin tale for Batman (at least, it will be until Scott Snyder’s Year Zero run wraps up later this year). Batman Begins, the Animated Series, Tim Burton’s eponymous Batman film and I-don’t-know-how-many-other-stories took the darker, grimmer origin Miller gave us as a base for their own narrative, and it’s no coincidence that at least the three narratives I mentioned there are all universally awesome. It’s a stark contrast to the flashier, poppier stories presented by Adam West’s Batman TV series and the slightly more optimistic and off-kilter stuff of the 60s and 70s, so while there’s not as much brevity in Year One as Batman used to possess, it’s still engaging in its own way. As the world continued recovering from grim World Wars and being in the midst of a Cold one when this book was released, it became clear that the rosier-cheeked, campy fun Batman of the past two decades wasn’t going to cut the mustard with readers who were acclimatising to a darker, scarier world. If other works beforehand hinted at the darkness, Miller solidified it in Year One (and that other kinda-big Bat-book he wrote, but we’ll get to that later) and helped shape it into one of the Dark Knight’s most enduring contemporary character traits. So if you ever get annoyed at how depressing the Dark Knight Trilogy is, go yell at Frank Miller. It ain’t Nolan’s fault he took inspiration from the guy. In the end, Batman: Year One is where a lot of today’s caped crusading began. It was also a signal that the darkness was here to stay.